The biggest sporting event in the world, FIFA World Cup 2018 begins this June 13. Every four years, the best soccer tournament (“football” if you’re anywhere outside the United States) transforms the globe, uniting far-flung friends and family under their national team’s banner & bringing millions of fans together in sports pubs and stadiums. Thirty-two national teams will take part in the global tournament, and matches will be held in 11 cities throughout the host country of Russia. Think we’re spouting hyperbole? Consider this: During the last FIFA World Cup, “more than one billion fans tuned in to watch the final of the 2014 World Cup Brazil, with the competition reaching a global in-home television audience of 3.2. billion people,” according to FIFA and Kantar Media. Plus, more than 280 million people watched matches online or on a mobile device. 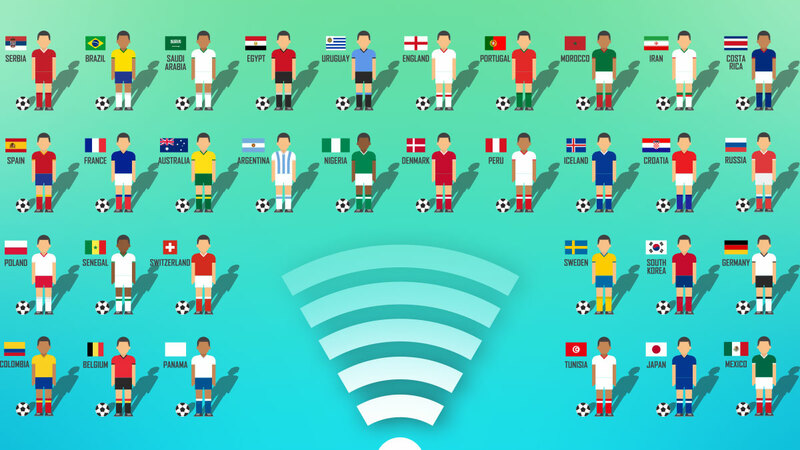 If you’re one of the passionate soccer enthusiasts who will be breathing, living, and dreaming FIFA matches from June 14 to July 15, 2018, you’ll want to have continuous, drop-free Wi-Fi as you watch. Did the team you’re rooting for make its PK? Why did the defender get a yellow card? Who knows? You’re waiting for the connection to become smoother. You don’t want to miss a minute of a match (even if it goes into extra time and has anxiety-causing penalty kicks), so you’ll want the latest and greatest in home Wi-Fi. Ultrafast 11ac Wave 2. You’ll want the blazing-fast AC2200 speed to provide buffer-free video and audio. Also, you’re going to want Wi-Fi that offers smooth HD streaming and rapid-file loading. No drops. No interruptions. Beamforming. Don’t miss that exact second when your team connects perfectly and scores a goal. Beamforming means you continuously get the optimal signal and reception on devices as you move around the house. Wall-to-wall coverage. Choose a mesh network system that covers your entire home, not just the busy areas. When you combine a mesh router and a pod in a whole-home Wi-Fi system, you can keep your network lightning-fast and efficient everywhere. After all, imagine the game going into stoppage time and having the Wi-Fi drop just because you went to get a drink from the kitchen? Whether you’re watching World Cup 2018 matches at home by yourself or hosting a party, make sure you’ve got the latest and greatest Wi-Fi. You won’t be screaming only at the refs if your team gets a bad call if the Wi-Fi drops. At EnGenius, our Whole Home Wi-Fi can drape your entire home in continuous, uncompromising ultra-fast Wi-Fi.